With performances at the legendary Berlin electronic club Katine am Berghain and Hamburg's Reeperbahn Festival serving as 2015 highlights, Toronto duo Pyramid Tropic are back on home turf to start 2016, lining up a series of singles, remixes and EPs that will see release this year. The first of these musical treats to arrive is a new video showing how the duo of Will Whitwham (the Wilderness of Manitoba) and Matthew Fudge bring their percussive, synth-based dance music to life in a live setting. Armed with electric guitar, bass and a glut of electronics and projections, the two performed a live rendition of forthcoming single "Last Forever" that was captured for a recent Southern Souls session. 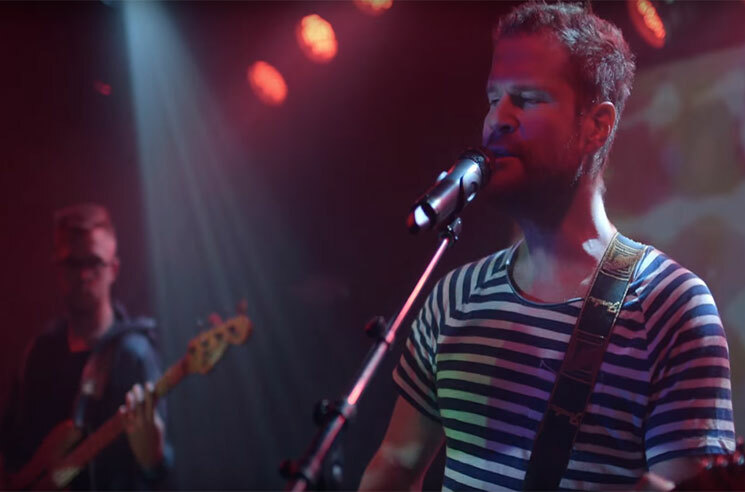 In anticipation of their forthcoming releases this year, get to know Pyramid Tropic by watching their performance of "Last Forever" in the player below.